The travel time needed between Boston's North and South stations causes delays on both ends. A Harvard Kennedy study found that construction of a tunnel connecting the two stations may be less expensive than originally thought. The price tag for constructing a long-discussed north-south rail link between Boston’s North and South stations is now estimated at $4 billion to $6 billion, much less than prior estimates. That’s according to a group of Harvard Kennedy School (HKS) students and faculty who calculated current project costs from federal data on modern tunneling technologies. The study could bring fresh momentum to efforts to persuade state lawmakers to move forward with the project, which analysts say would greatly improve downtown traffic flow for those commuting through the city. According to the new research, the project could cost $6 billion for a “maximum build,” which would include four tracks, two tunnels, and three stations. The price tag drops to an estimated $3.8 billion for a “minimum build,” which consists of two tracks, one tunnel, and two stations. The figures are inflated to 2025 dollars, which is the assumed midpoint of construction. The estimates were calculated using a robust set of historical project data from the Federal Transit Administration. The figures were substantially lower than those calculated during the last major study of the link project, conducted by the Massachusetts Bay Transportation Authority in 2003. The authors are Laura White, M.P.P. ’18; Jean-Louis Rochet, M.P.P. ’17; Pete Mathias, M.P.A. ’17; Kate O’Gorman, M.P.A. ’17; and Linda Bilmes, Daniel Patrick Moynihan Senior Lecturer in Public Policy at HKS. The authors suggest that their findings could spur additional research to measure and confirm the potential costs and benefits associated with the link. 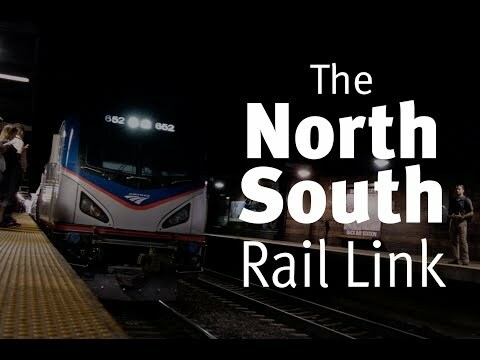 A north-south rail link was initially proposed more than a century ago, and it has received added political support in recent years, including from U.S. Rep. Seth Moulton ’01, M.B.A.-M.P.P. ’11, who represents Massachusetts’ 6th Congressional District. The state Department of Transportation’s Office of Transportation Planning recently awarded a $1.5 million contract for a new study of the link. The research project was conducted under the supervision of Bilmes and under the auspices of the Greater Boston Applied Field Lab. The lab is part of the Kennedy School’s Rappaport Institute for Greater Boston, with funding from the Phyllis & Jerome Lyle Rappaport Foundation. Harvard Associate Professor Bart Bonikowski examines the seeming resurgence of white supremacist and nationalist groups in the wake of the weekend violence in Charlottesville, Va.